Excessive whining and barking in dogs can sometimes be triggered by a strong desire for attention. This attention-seeking behavior is not unusual in dogs and it often has a history of reinforcement. What dogs are likely to crave extra attention from their owners? As social beings, most dogs are eager to gain attention as much as they can, but some of them crave far more attention than others. Let's take a look at what type of dogs may be affected by a predisposition for attention-seeking whining and barking. In some cases, this attention-seeking whining is accompanied by extra clingy behaviors, such as following the owners everywhere, anxiety when the owner is away and nervous pacing. At times, this can be triggered by underlying medical causes. Dogs who have experienced loss of hearing or poor eyesight, may feel vulnerable and the owner's presence makes these dog feel more secure. Some dogs may also excessively vocalize as they age and develop the first signs of canine cognitive dysfunction.So when these dogs are not getting attention or are left alone, they feel lost, anxious and vulnerable. 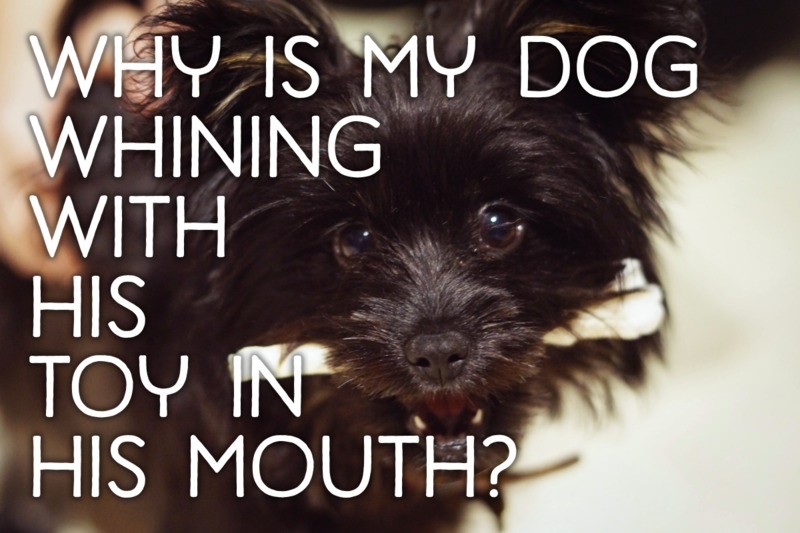 Dogs who whine while they are eating often have a mouth or dental issue. Excessive whining and barking for attention should warrant a veterinary visit, just to make sure everything is fine in the health department. Some dogs simply feel lost when they are away from their owners and not receiving attention. Underlying insecurity and anxiety makes these dogs crave more attention than others. It's as if these dogs are half dogs that cannot live with their other half, their owners. When left alone, or not receiving the amount of attention they crave, these dogs will whine, in a similar way puppies do when they are seeking their mom. It's as if these dogs were stuck in a phase during which puppies become distressed when separated from their mother. From an evolutionary standpoint, these distress whines had an important function as they helped mother dog locate the stranded puppies.This whining is then reinforced from getting mom's attention. Many re-homed dogs who have gone through the trauma of staying at the shelter appear more susceptible to develop anxiety and cravings for attention. Too many changes, the inability to control the environment and lack of stability may trigger insecurity, confusion and frustration. In some cases, these dogs were actually surrendered for their anxiety and excessive whining in the first place. Newly adopted dogs may fear abandonment and develop dysfunctional hyper attachments to their new owners. This over bonding causes them to not feel safe when left alone. Once they find a home with people that love them, they will resort to those whining strategies they used when they were pups when they are separated from their owners. Some dog breeds were selectively bred to work a good part of the day alongside humans and some were pampered lap dogs and feet warmers for aristocratic ladies. These dogs may crave extra attention from their owners and may suffer a whole lot if left alone during the day. Yet, no black and white statements can be made. So for every clingy Great Dane or Dalmatian, you'll find several independent ones, and for every overly attached Keeshond or Weimaraner, you'll find other specimens who thrive even if they aren't showered with attention all day. 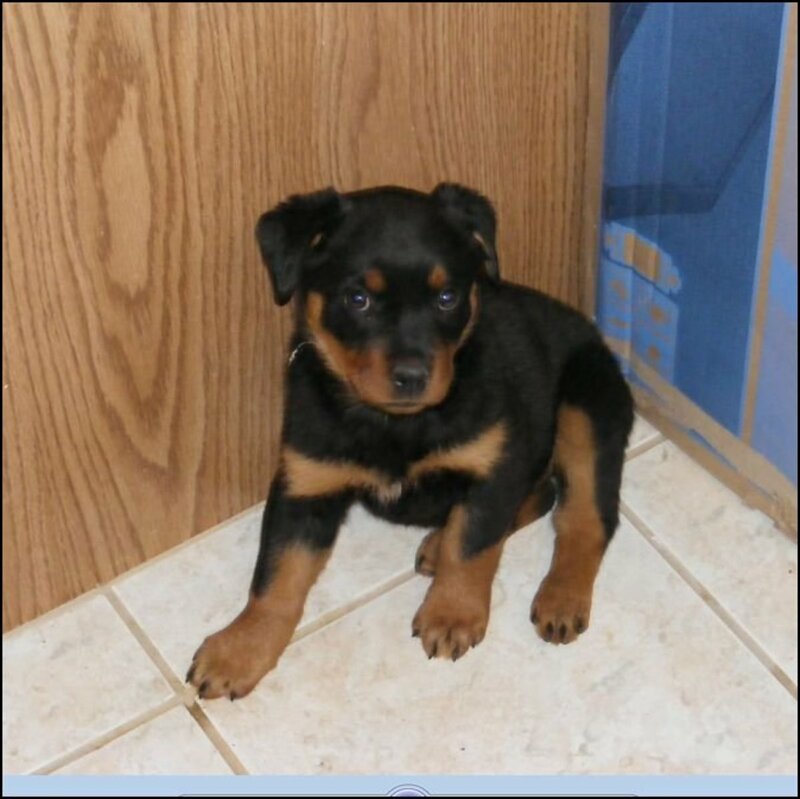 Even within a litter, variances between puppies and their behaviors can be quite significant. Some dogs develop anxiety and excessive whining when they undergo changes. 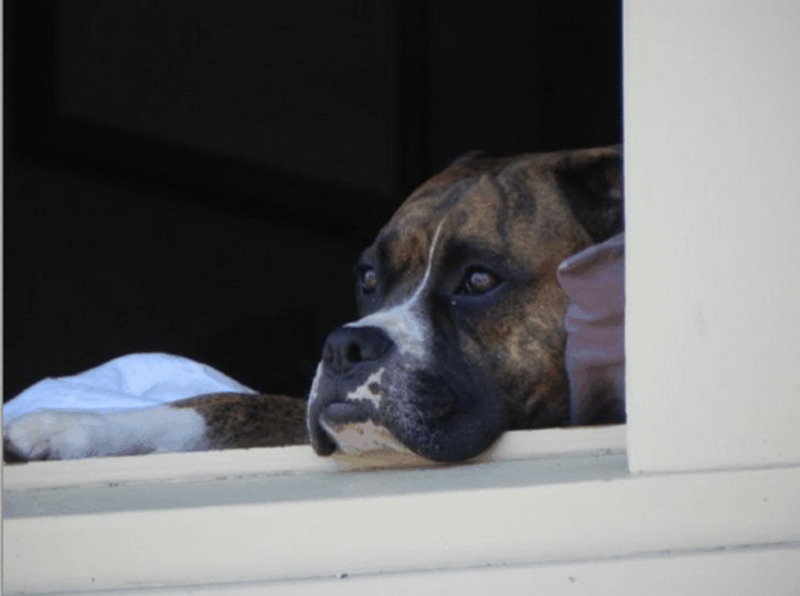 If you worked at home all the time, and then suddenly start working out of the home, this change may be too drastic and your dog may develop separation distress. Your dog may start whining when you start getting ready for work. Some dogs develop anxiety if they feel insecure in their environment at home because when left alone something scary happens such as a plane flies too low or construction workers cause excessive noise. It quite often takes a dog predisposed to developing over attachment and an owner that reinforces attention-seeking whining behavior, for hyper attachment to set in. However, even dogs who aren't predisposed to this may develop over attachment, given the correct circumstances. The owner's role in this case is providing negative or positive attention every time the dog whines. The following scenarios are some common dog/dog owner interactions that pave the path hyper attachment behaviors. The dynamics are similar to a small child who cries and is comforted by his mother every time. The child soon learns that every time he cries he is picked up. The mother at some point decides to ignore the crying and no longer picks the child up, but the child's crying increases so much that in order to longer listen to him cry, the mother gives up and holds the child once again. Soon, a pattern establishes and the parent is stuck with an overly needy child. With dogs,the same dynamics may take place. The dog craves attention, barks or whines and the owner looks at the dog. Looking is already a form of attention. Walking up to the dog, opening the door to let the dog in, talking to the dog and petting the dog further reinforce the vocalizations. Soon, the dog understands the equation that whining, bring attention. It doesn't take long for dogs to understand this, as after all, reminiscent of puppy hood, the puppy used the same strategies to get attention from mother dog. From a learning theory standpoint, the whining behavior is positively reinforced by the attention. This means that the whining behavior will repeat and increase in frequency. Dog owners often do not realize that dogs may also appreciate negative attention. The dog who has been left alone all day while the owner is at work, will likely not mind being scolded for whining as at the same time, the owner is looking and talking to the dog which the dog dearly craves. To better understand this, imagine being a big fan of a famous rock star. You would literally do anything to get his attention. Since he is walking by the crowd and he cannot notice you, you decide to climb over a gate and wave at him. He finally sees you, but makes a negative remark to his bodyguard about what a nut you are.Yet, despite the negative comment you are happy he actually noticed you and made a remark about you.It was thrilling to see him make eye contact with you. And you would likely do this again in the future. As in positive attention, the dog gains reinforcement from your reaction. This explains why your dog no matter how much you scold him or push him away, may continue whining or barking to get your attention. So if your dog appreciates positive attention and doesn't respond to negative attention (something I don't really recommend applying), hold your horses before thinking about using harsh punishment-based techniques or investing in a no-bark collar as these do nothing to help and they actually may exacerbate the underlying anxiety. So your next step is learning about strategies to reduce excessive attention-seeking behaviors by going to the root of the problem and employing force-free techniques.. 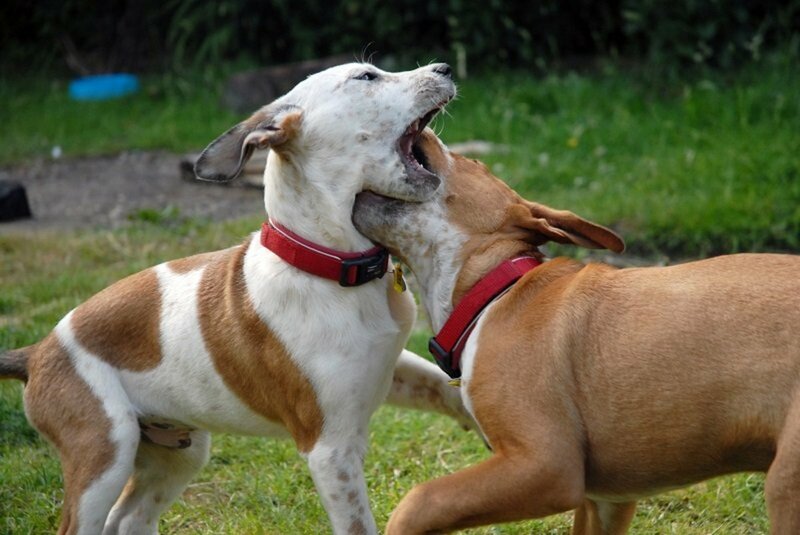 The sale of no-bark collars makes punishing a dog for vocalizing look acceptable; after all, if they are on the market, there's nothing wrong in using them, right? And because you just push a button or the bark collar remotely delivers shock on its own, it may appear like a more humane option, but let's remember that even if we are not the ones actively administering the correction, we are the ones who purchased the collar in the first place and put it on the dog. To add insult to injury, the companies selling such collars often advertise them by sugar coating what they do. Many claim that the collars deliver "static corrections", "harmless electric stimulation" or "gentle taps." Don't be fooled by these terms! Truth is, if they are meant to reduce and stop barking behaviors they must be severe enough to accomplish such. You wouldn't stop speeding if you received candy instead of a hefty speeding ticket! So before purchasing a no-bark collar ask yourself the following questions: Why is my excessively dog barking? What is my dog trying to communicate? What alternatives are there to no-bark collars? Excessive vocalizations in dogs may stem from various reasons. By better understanding why the dog barks excessively, we can take better approaches to reduce excessive vocalizations in dogs. Quick fixes such as no-bark collars is like only treating the symptoms of a disease and doing nothing about the weakened immune system which is causing disease in the first place. I love this statement by dog trainer and behavior consultant Jonathan P. Klein "Barking, as is the case with most 'bad' behaviors, is merely a by-product of a bigger issue. If the root cause of a problem isn't addressed the behavior is sure to continue." As a trainer and behavior consultant, I 100 percent agree with such statement. In order to effectively address attention-seeking whining in dogs, you will have to take care of the underlying cause. 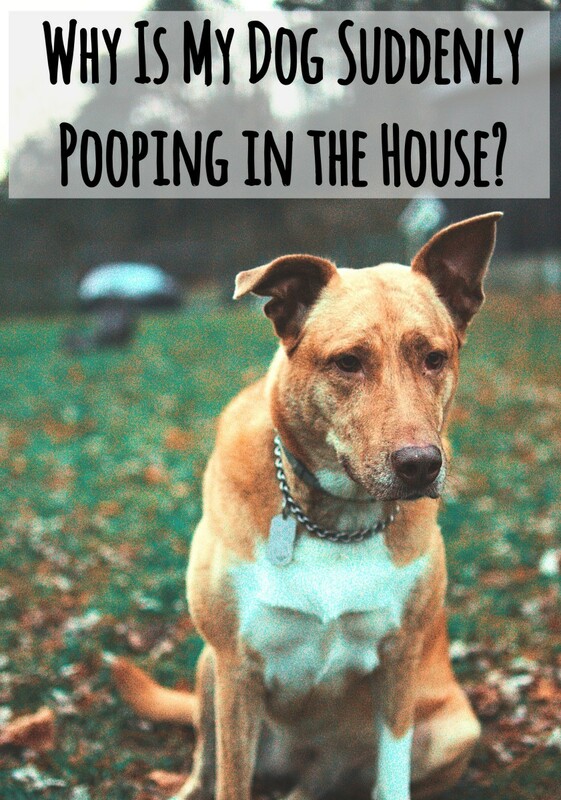 Does your dog have a medical problem? Is your dog exercised and provided with enough mental stimulation? Is he left home alone for too many hours? Are you unintentionally rewarding excessive vocalizations with positive or negative attention? The following tips will help reduce attention seeking whining in dogs. With your vet's help address the underlying medical problem. Senior dogs with signs of canine cognitive dysfunction may benefit from the drug Anipryl. 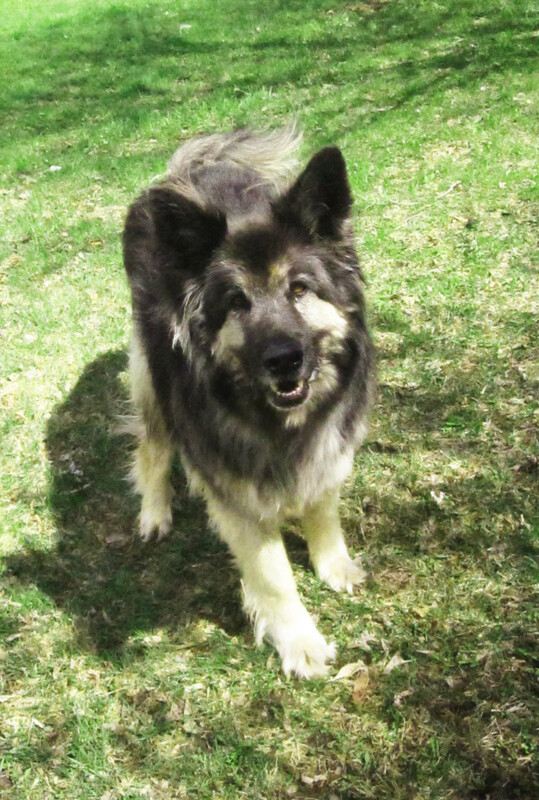 Find a dog behavior consultant to guide you through behavior modification. If your dog's exercise and mental stimulation needs aren't addressed start implementing changes. Go on walks, engage your dog in games, encourage foraging, use interactive toys, implement fun training sessions. A tired dog has less energy to engage in excessive whining. Don't make a big deal when you leave or return from an outing or are out of sight. Act neutral. When you are absent, your dog will likely vocalize a lot, and when he sees you don't return, he will feel helpless and frustrated. Making a big deal with highly emotional displays when you return only reinforces his needs to make contact with you and confirms in his mind that good things happen only when you come home. 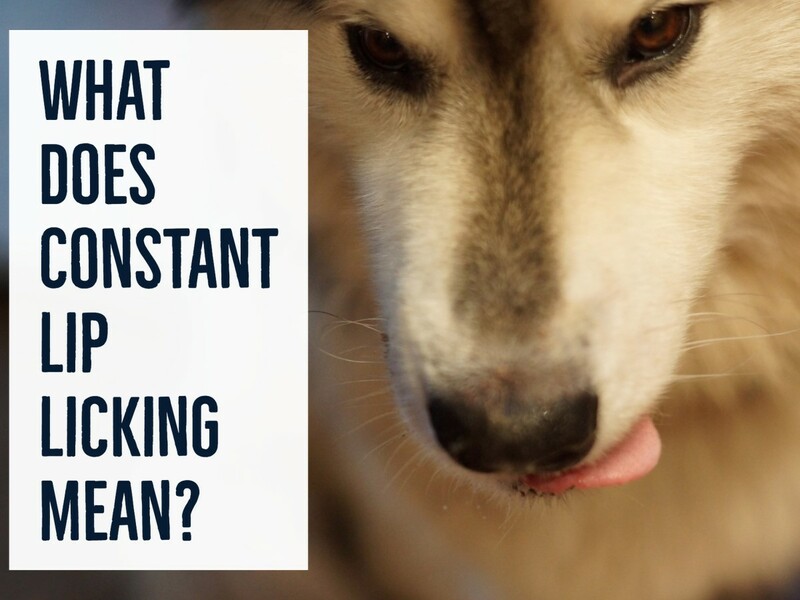 Desensitize your dog to pre-departure cues. Put on your jacket, grab your keys and then sit on the couch. Repeat several times and then start putting on your jacket, grabbing your keys and leaving for a a few seconds and then coming back inside. The goal is to teach the dog to see pre-departure in cues in a different light. For more on this read:" using desensitization in dog separation anxiety." You want to minimize the transition from the positive energy when you are present to the quiet silence when you leave.The objective is to decrease the contrast between your presence and your absence. You can accomplish this by leaving "white noise" on such as a radio or TV. Keep the radio and TV on though even when you are home or turn it on hours prior to your departure, to prevent turning the radio or TV a cue you are about to leave that may trigger anxiety. Don't reward the whining with attention. If your dog whines when you leave the room, make sure you return only when your dog is quiet. If your dog is quiet as you walk in the room and starts whining, take some steps back and wait for quiet again. If your dog whines when you are eating, don't feed him table scraps when he whines. Your dog whines when he wants to be pet? Don't pet him when he whines, instead wait for silence and pet him then. You want to reinforce silence instead of actively reinforcing the whining. Be aware of dog extinction bursts. This is where attention-seeking whining intensifies before reducing. Since your dog was used to getting attention when he whined in the past, he will intensify the whining once he notices you start ignoring it. Keep up ignoring the whining and rewarding silence and soon the whining should gradually reduce. Teach your dog coping strategies for dealing with frustration triggered by separation. Install a baby gate and have brief sessions during which you are away from the room and your dog cannot follow you. Unable to follow you, your dog may get frustrated and start whining. Find replacement behaviors for the whining. Encourage playing with an interactive toy such as stuffed Kong during your brief absences. You want your dog to learn that every time you leave the room something good happens. Return to the room when your dog is done emptying the toy and act neutral. Repeat several times. Use feeding time to your advantage. Leave the room where your dog is separated from you with a baby gate, and start making noises that signal meal preparation. Don't worry, your dog knows those noises way to well! Those noises include opening the food bag, opening the fridge, picking up the food bowl, mixing up things. Prepare his food, and if he is actively whining when you are away, stop making those food preparation noises. When he is quiet continue making food preparation noises. If he continues being quiet walk towards him with the bowl. If he whines, freeze and take a few steps back. When he's quiet continue walking in his direction. He'll soon get the idea that quiet makes you walk towards him. Place the food bowl down and then leave so he can eat. Come back when he is done. Reward your dog's non-whining behaviors. 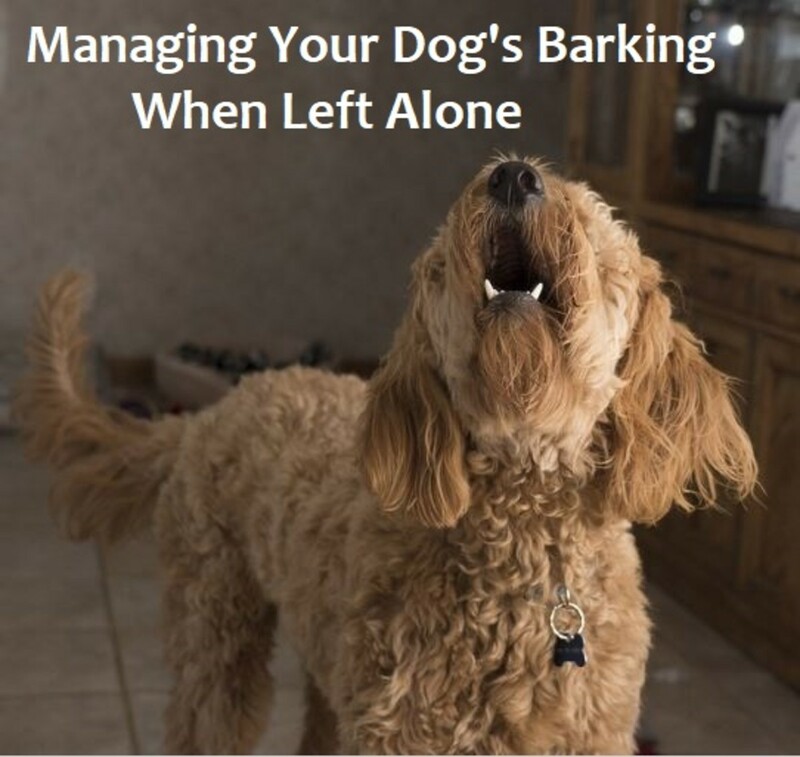 If your dog whines most of the time, mark with a clicker or a verbal marker those precious moments of silence or when your dog engages in other more acceptable behaviors. Your dog usually whines when you leave the room and instead decides to lie on a mat? Mark the wanted behavior and immediately reward. If you mark wanted behaviors and ignore the whining/barking, those moments of silence and whining replacement behaviors should increase in frequency. Severe cases of attention-seeking whining may need the intervention of a dog behaviorist (a board certified veterinary behaviorist of Certified Applied Animal behaviorist) who may prescribe anti-anxiety medications along with behavior modification. Why Is My Dog Carrying a Toy in His Mouth and Whining? I have two dog and we recently lost our third. My one dog is the daughter of our other, and is always seeking attention. Whenever we go to walk away from her she wraps her legs around your knees and almost trips you as if she is hugging you. She barks all night long and all day if people are not around her. Even today I was petting her mom and she jumped up trying to get on my lap. Also this is a 102 pound Labrador so it’s kind of hard to deal with her, but thank you for the helpful tips!!! It could be she simply doesn't like to be restrained to one area of the home if she is used to having free run of the house 95 percent of the time. Have you tried leaving her with a stuffed Kong or a bully stick (or other long lasting treat) the time she has to stay secluded in an area? Giving her something to do may help keep her mind off being "forced" to be in a specific area. If she won't eat, that can mean she is really upset about it and maybe a bit stressed too. Have you been opening her when she was actively whining? If so, she may think that whining is the way to get out, rather than being quiet, so that can also be a reason why she's repeatedly whining. You can practice restraining her to the area when she doesn't need to dry, just for training purposes making her stay in the area for brief periods giving her something to do, and letting her out once she's done but make sure you open when she's not actively whining. You can try this at first without closing or putting up the gate at first so she doesn't feel trapped. Just make that place a happy place to be. If you use a clicker, you can also train her to target an object in that area and then click/ toss her a treat in the area. Only once she can stay there for brief periods you can progress to a bit longer ones and start introducing the closed door/baby gate. Mix in some longer and shorter stays in the mix so she doesn't feel pressure to think that the stays in there are getting progressively longer. I think what's happening is that the area is perceived as negative so when she gets out, it's sort of like "phewww... finally I am out of this trap" so the focus should be on making this area extra rewarding. Her little piece of heaven to look forward to being. It may take a bit to accomplish this, and may not being be too motivating to do if you only seclude her like once or twice a month for 10-15 minutes, but it may be worth it if this seems to stress her out and you do this frequently enough. One piece of advice, it may be useful to pick a whole new, fresh place to seclude her and make it "the happy place" as it may take more work to transform a previous place that has assumed negative connotations and "has a history" into a nice place-to-be. My 10 year old female lab/chow mix (shelter adopted at age 2) starts whimpering pretty much whenever she's kept in a restricted area. She's fine when she knows I'm gone (I tested her). She fusses a little when she hears the car leave but goes quiet very quickly afterwards. But if I keep her on the back porch, for example (to dry after having been bathed) with the screen door closed, where she can still see/hear/smell me she starts whimpering. Same if I put up a baby gate to keep her in the hallway while I'm at home, within eye shot of her. She is not an attention seeker, more the aloof type. And she has free run of the house 95% of the time I'm home, with doggie door access to the enclosed back porch and all the way outside into the fenced backyard. I've successfully cured separation anxiety in another dog and I don't believe that's what she has... I can't figure it out. This far neither positive nor negative reinforcement has made any difference. 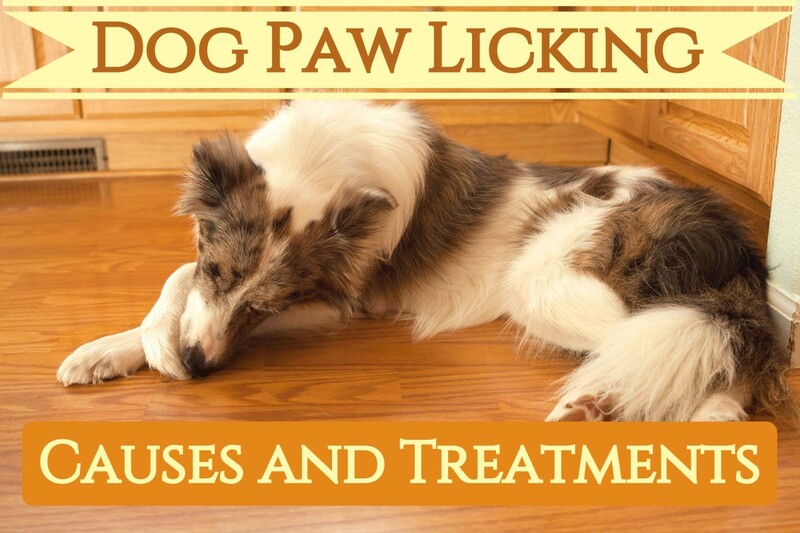 Yes, addressing the cause is of paramount importance when addressing dog behavior problems. Thanks for the reference. But it is such an important point, to deal with the cause, not the symptom. I am happy you found the article helpful! Bless your heart for rescuing from the Humane Society. Kind regards! This is helpful, thank you. I have a dog from the Humane Society and she does whine a lot. When I had dogs they did not behave much in this way I always paid attention to them. Another helpful hub from you about the beautiful pets.